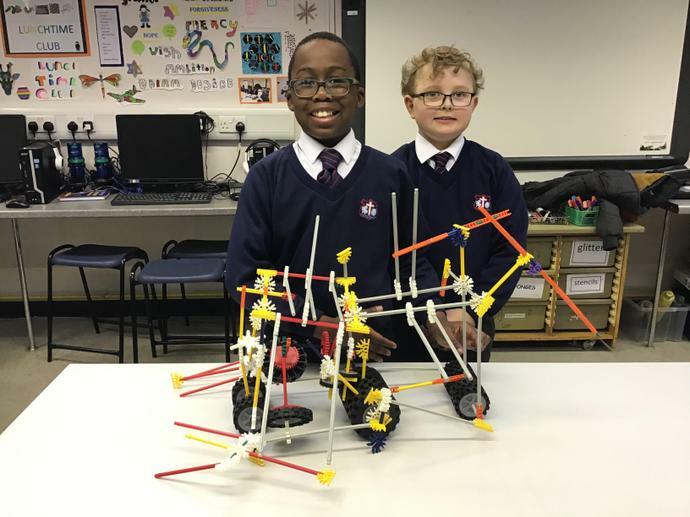 Lunchtime Club creation by George and Hezekiah! Look at this wonderful model that George and Hezekiah have made during Lunchtime Club this week. They worked together and perfected it each day until it was just right!